Papers: 1958-1970, 45 cubic feet. 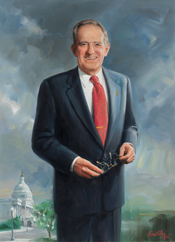 Papers reflecting Robert A. Roe’s career in local and state government. Included within the papers are speeches, news releases, engagements, state contracts and photographs. Also included are tapes, reels and plaques that primarily reflect Roe’s years as N.J. Commissioner of Conservation and Economic Development. A finding aid is available in the repository and online. Papers: 1966-1980, 21 cubic feet. This collection includes the correspondence, speeches, press releases, case files, pamphlets, campaign material, books, voting record, and pictures recording the activities of United States Representative Robert A. Roe from 1966 to 1980. The collection is contained in 21 archival storage boxes, or 21 cubic feet of material. The bulk of the collection is his correspondence with colleagues and constituents relating to various issues, especially those that address concerns over the environment and the economy.